Dr. Navin Prakash Ray, M.D. (Hom), NIH. Dr. Usha Uchat, M.D. (Hom), Reader, dept. Materia Medica, NIH. INTRODUCTION – Kali phos. is a constituent of nissele’s granules in the neuron of brain cell and other intracellular organic material. Potassium is predominantly an intracellular cation which maintains the electrical excitability of nerves and muscles. Thus drug has a favourable influence upon nervous exhaustion. PREPARATION – It is prepared under class VII by the method of trituration. PROVING – This is one of the Schussler’s remedy and most of our knowledge concerning it due to him. It had partial proving in 1892, conducted by Dr. H. C. Allen. PHYSIOLOGICAL ACTION – It is one of the greatest nerve remedies. It produce marked disturbance of the sympathetic nervous system. It corresponds to states of adynamia and decay, gangrenous conditions. (1) In Thought cells : Despondency, anxiety, fearfulness, home-sickness, suspiciousness, agoraphobia, weak memory. (2) In Vaso-motor Nerves : First, small and frequent pulse; later, retarded. (3) In Sensory Nerves : Pains with sensation of paralysis. (4)In Motor Nerves : Weakness of muscles and nerves even to paralysis. (5) In Trophic fibres of Sympathetic Nerve : Retarded nutrition; even total arrest in a limited area of cells and then a softening. USES / CLINICALS – Brain concussion, Brain-fag, Insomnia, Melancholia, Nervous dyspepsia, Neurasthenia, Night-terrors, Anaemia, Facial neuralgia, Diphtheria, Dysentery, Enuresis, Paralysis, Ptosis, Sciatica. Picture of this remedy is suited to Kali carb. It has all characteristics of kali like timidity easily starling from touch noise, frightened easily. Patient is weak physically and mentally with sensitiveness to open air and general tendency of catching cold and tall lean, constantly tired and nervously exhausted and weakness in brain and nerves like phosphorus. It is chilly thirsty and left sided kali. 1. The remedy is indicated in derangements of the nervous system as neurasthenia, prostration, insomnia, loss of mental vigour and muscular debility following acute diseases. 2. It is of service in melancholia and mania that arise as a result of overstrain of the mind or nerve centres. 3. Depression is the characteristic of its action; conversely it cures depressed states of mind and body, hypochondriasis, hysteria, neurasthenia, nervous insomnia, spasms of irritable. MODALITIES : Most of the complaints are worse during rest and ameliorates by gentle and slow walking about. In general the patients and his pain aggravated in cold air from becoming cold on entering the cold. Aversion to open air. Draft on open air aggravates. Worse in winter. Complaints are worse after the coition causes irritability and backache. Warmth of the bed ameliorates most of the complaints. Businessman who are tense about their business and use their mental power for the same and become weak due to overuse of the mind. Then slightest thinking gives them a headache and irritability. In case of housewife who are over burdened with their and trying to give 100 % in her home duties due to her enthusiastic nature take responsibility of all and everything and everyone. She will not sustain the constant exertion of mind and body. Finally brain gives away and she starts feeling that if she continue to work she will be crazy. Then comes the irritability and aversion to husband child and family who constantly demand the duty and work from her. J. C. Nottingham consider, leading indication of Kali Phos.” nervousness arises from excessive sexual excitement whether indulged or suppressed”. Insomnia – From excessive mental exertion; after worry over business troubles; from nervous exhaustion; simple painless wakefulness. Kali hypophosph. (Debility with wasting of muscular tissue. Phosphaturia with general anaemia or leucocytemia. Effects of excessive tea drinking. Chronic bronchitis where the expectoration is thick and fetid, sometimes scanty and tough. Worn out business or professional man. Special indication- Foul breath with low nervous condition. Dr. Boericke – “ KALI PHOS is one of the greatest nerve remedy”. Dr. SCHUSSLER says that KALI PHOS. “ correspond to the hosts of condition known as neurasthenia”. Dr. LILIENTHAL speak of it as grand remedy in restoring the vital force to its oar value. 1) J. C. Nottingham had cured a case of impotency and seminal losses on the basis of these indications and accompanying symptoms are backache, sleeplessness, pain in back of head and neck, great irritability and frequent micturition of large quantity at night. 2) Dr. H. C. Allen had cured a pelvic abscess having orange colour offensive discharge associated with sleeplessness. 3) Dr. H.M. Rean reports three cases of amenorrhoea cured. Miss B, 19. very nervous pale blond, cross and snappish. Cries easily having constantly dull headache. All time fidgedity so much could not control herself call her mother to hold her hand. Menses did not appeared till 18 and were scanty then and since. Kali phos 3x 4 times daily causes great improvement in next menstruation and within three month menses were normal n regular. 4) Dr GRIGGS : A case of criminal abortion, pyrogen had been given with mediocre result patient was wasting and very foul discharge from the uterus – Kali phos restore and regenerate the system. For excessive tired feeling and occiput headache he had given often kali phos after picric acid failed in neurasthenic condition. 5) DR. FARRINGTON : A lady her husband fail in business and she took up a side line to help out. Buying and collecting antique furniture and selling it. That together with her worries over finances brought on a peculiar state. She had occipital headache, weakness and weariness and peculiar mental state of flying into rage over little things and then weep. KALI PHOS clear up the condition completely. 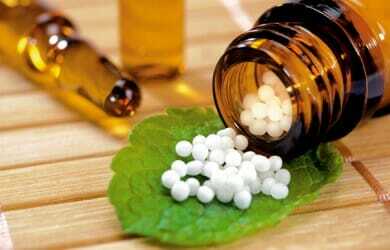 The individualistic study of homoeopathic Materia Medica gives us the inner essence of the drug. Study about Kali phos with special emphasis on mental symptoms which may help us to use it with a different approach and better understanding of the drug. In todays world mental health disorders such as anxiety, depression , dementia and insomnia are common due to stress and competitive environment in case of which Kali phos works wonders and one of the effective remedy. So a detailed study of this remedy is need and further proving is required to know the full action of this wonderful curative medicine. Huges Richard, A MANUAL OF PHARMACODYNAMICS. Delhi: B.Jain Publishers (P) Ltd.; 214. Kent J.T.. LECTURES ON HOMOEOPATHIC MATERIA MEDICA. 2nd rearrange ed: Delhi: B.Jain Publishers (P) Ltd.; 2009. Boger C.M. A SYNOPTIC KEY TO THE MATERIA MEDICA. low price ed: Delhi: B.Jain Publishers (P) Ltd.; 2002. Boriek and Dewey, THE TWELVE TISSUE REMEDY OF SHUSSLER. 6TH ed. : Delhi: B.Jain Publishers (P) Ltd.; 2002. Phatak S.R. MATERIA MEDICA OF HOMOEOPATHIC MEDICINES, 2nd ed. ; Delhi: B.Jain Publishers (P) Ltd.; 1999.